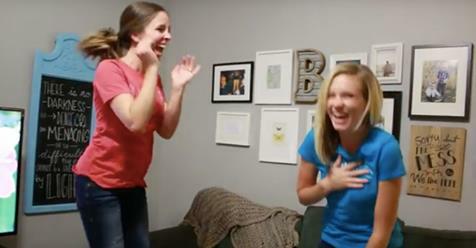 Home › entertainment › videos › Sisters Surprise Each Other With Double Pregnancy Announcement, Their Reactions Are The Sweetest Thing. Sisters Surprise Each Other With Double Pregnancy Announcement, Their Reactions Are The Sweetest Thing. 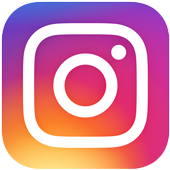 We’ve shared stories before about wives surprising their husbands with news that they’re pregnant; we’ve even shared about a husband surprising his wife with an unusual pregnancy announcement! But this is our first story in which a woman tells her sister that she’s pregnant… And her sister surprises her right back! Tara Brough is already a mom of two, but recently she learned that her family would be growing by one more. Tara couldn’t wait to share the news with her sister, Carly Walton. But she had no idea that Carly and her husband had some big news of their own. In order to break the news to Carly, Tara put a hamburger bun inside of an oven for Carly to find. The joke is that Tara has “a bun in the oven,” but it takes Carly a second to put it together… Once Carly and her husband realize what was going on, they congratulate Tara, but Carly can be seen– in the video below– giving her hubbie a look as if to say “Should I tell them?” That’s when she breaks the news: She’s pregnant with her first baby! The adorable sisters are both elated. Carly’s husband films the awesome moment when Tara realizes what’s going on, and the two sisters celebrate together, imagining the fun times in store for their babies, with due dates just weeks apart! Check out the sweet surprise below.